It’s hysteria from channel to channel about this renegade named Trump. Even possible Democratic VP nominee chimes in while Republican Lindsay Graham’s disdain of Trump scares me. FOX NEWS SUNDAY (Fox Network): Senate Majority Leader Mitch McConnell, R-Ky.; former Sen. Jim Webb, D-Va., a Democratic presidential candidate; Gov. Bobby Jindal, R-La., a Republican presidential candidate. 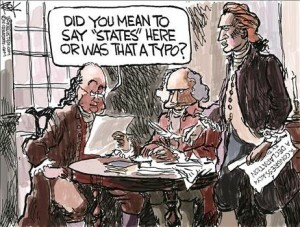 MEET THE PRESS (NBC): Gov. Nikki Haley, R-S.C.; Sen. Bob Corker, R-Tenn.
FACE THE NATION (CBS): House Speaker John Boehner, R-Ohio; Sens. Bernie Sanders, D-Vt., a Democratic presidential candidate, and Tom Cotton, R-Ark. 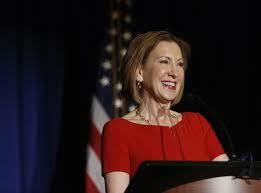 THIS WEEK (ABC): Carly Fiorina, a Republican presidential candidate; Sen. Bob Menendez, D-N.J.
STATE OF THE UNION (CNN): Sen. Lindsey Graham, R-S.C., a Republican presidential candidate; former Secretary of State Hillary Rodham Clinton, a Democratic presidential candidate; Alex Walker and Scott Walker, sons of Gov. Scott Walker, R-Wis., a Republican presidential candidate. And I quote: “We cannot do everything conservatives want us to do”. I just wish they could maybe do SOMETHING for us schlubs who carry this country on our backs. No McConnell does not think making nicey-nice with Cuba will have the soldier-tyrants heading things over there change their stripes. But we really didn’t want to hear about Cuba, now did we? Now what candidate says such a thing about another candidate? Even Ted Cruz, the most honest of the bunch as I see it, would not say such a thing to a throng about another candidate. Which is not to say that I don’t like it. 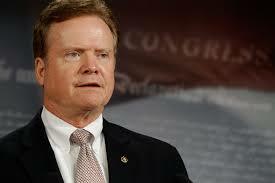 I was most intrigued by guest former Senator, D, Virginia, Jim Webb. I lay at least even money that we’ll be seeing a lot more of this guy. Just a hunch but he seems a perfect VP choice for Hillary. He served in the military, was a senator, and he comes off as level and logical. And he did a helluva job beating the hell out of Donald Trump for being so nasty as to suggest some of these illegal immigrants are not such good guys. A quest no doubt thrust upon him by the Hillary campaign as they watch and see how he does during his tryout. Just a hunch. I could be wrong. It happens. From time to time. Meet the Press-the most outrageous Trump comparison of them all. We had guest Nikki Haley, Governor of South Carolina who proudly oversaw the taking down of the confederate flag in her home state last week. I’m still scratching my head over this confederate flag kerfluffle. Not being from the south, unless you consider Maryland south….I don’t understand the attachment southerners have in that flag. And I don’t consider it an especially pretty thing. The Republicans recently, goodness, were practically peeing themselves begging to remove flags from places under their elected governing purview. Nikki Haley, she probably too with presidential aspirations some day, was one such cheerleader and hey, she got her way and her day in the sun on Meet the Press. It’s not that defending the confederate flag is a cause the Republicans should be getting all involved in, I get that. But you’d think one of them, perhaps Mitch McConnell even, just throwing it out there, could have calmly pointed out that the confederacy was mostly a Democratic thing, that it was only until recent years that the south veered away from the Democrats. You know, to educate the people, instead of smiling and accepting some kind of blame for something that had nothing to do with Republicans. The Democrats sure would have been howling had the circumstances been reversed. Finally, host Chuck Todd came up with the most outrageous Donald Trump analogy of them all. He said Trump was a modern day George Wallace. I remember Wallace very well, a southern hero, ran as an Independent against the Civil Rights Act. Donald Trump is nothing like George Wallace, come on Todd, learn some facts. I must apologize if my summary above is a bit R-rated but goodness yon ladies and gems, Lindsay Graham, himself a contender for the Republican presidential nomination, ripped into Donald Trump worse than any guest of the day. Now why can’t all the Republican contenders, especially Lindsay Graham, just say that and move on? Or is trump causing them to address matters that they’d rather not? House majority leader, John Boehner, guested on Face the Nation and he didn’t cry. And I quote: -“other Republican candidates have much more responsible positions on immigration than Donald Trump”. But oh my goodness Boehner ripped into sanctuary cities, as well he should but he didn’t know about them before Trump pointed out the immigration problem as an illegal immigrant murdered an American in sanctuary city San Francisco? And Bernie Sanders said he really, really, really….liked this pope Francis. This Week with George Stephanopoulos , Carly Fiorina and OMG Jimmy Carter! First there was some discussion on this show and others about some version of “To Kill A Mockingbird” now published. I’ve been listening with shrewd ears to this story because while that was a magnificent book, my number one book I read….EVER….Harper Lee never wrote another book. My speculation is that it is her sister who has managed to publish a version of this book that was likely written leading up to the final version of To Kill…. One of this show’s round table pundits remarked that Scout was, at the end of THIS version, a little inebriated. Moving on, we had Carly Fiorina, a contender for the Republican presidential nomination but I think she’s seeking a Vice-presidential nod. She does a good job, as always. I did not know Fiorina was a cancer survivor. Goodness they get all hysterical over every mole on a president, I should think that this might be an issue. Not that I care but the liberals will go nuts. Finally, come on, Jimmy Carter….the WORST president ever, do not argue with me. Gas lines, 17% mortgage rates, the Iran hostages. The host asked Carter why does he think the Iranians that captured four Americans and held them captive for over a year waited until the day after he was defeated by Ronald Reagan to release them. Heh. Well of course they WERE AFRAID OF RONALD REAGAN, it ain’t rocket science. Obviously they weren’t afraid of Jimmy Carter, since he’d already botched a rescue operation that killed some American soldiers. The WORST president ever, worse than Barack Obama. 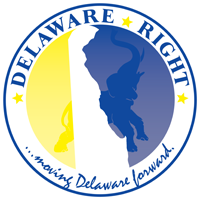 NEXT : Sussex GOP meeting, some thoughts on the recent Delaware legislative session. Might not be as good as Frank but I’ll try. ← Political Gossip and Tidbits Wandering About The Small Wonder That is Delaware-The 7/10/15 edition.